Less than two months ago, I had to make one of those heart-wrenching decisions, one that truly has only a single option that is fair, humane, respects quality of life, and is a gift when a kindred soul is suffering. 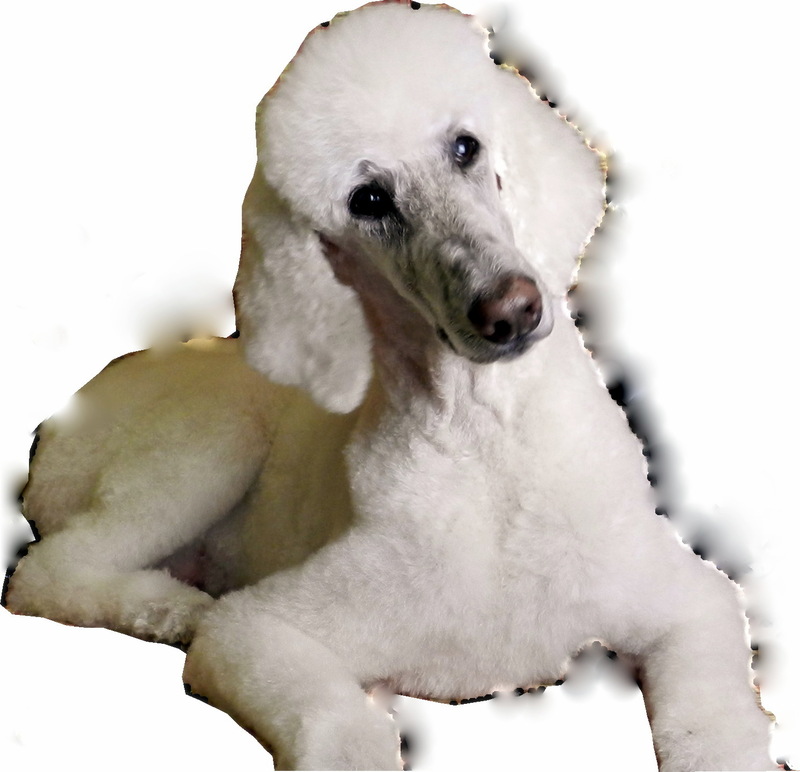 Almost eight years ago, we adopted Harlee, an amazing almost-three-year-old Standard Poodle. We were her third permanent home. While we knew almost nothing about her history, she told us her story over the years. We saw how she reacted to sounds and movements, people, and — especially — other dogs. With our love and support, she learned to trust us, and realize that she was finally safe. At times when she didn’t get the attention she needed, she was able to communicate her fear that she was going to be abandoned again. Those times became fewer and further apart because she learned to not be afraid to let us know she was worried. At first, she tried to hide her aging issues, and it took a while to realize why she was reluctant to run down the stairs to go for a walk. A leap of trust and faith was when she let us in on her problem. She couldn’t get into the car, and allowed us help her with a boost, and later, by finally agreeing to use “stairs” we got for her to walk up into it. An easy jump onto our bed morphed to a running start to make it, then a boost of her back end, and, near the end, letting us pick her up and get her situated. When she could no longer support herself to maintain her dignity when outside, she let me know she was ready to let go. We were very fortunate to have a wonderful veterinary clinic that had treated her throughout her time with us. They loved her, and she adored them, regardless of what she had done. At the end, they were there for and with us, truly surrounded us with love and compassion, tears and shared sorrow. We received a sympathy card after, with notes from each of the staff. We will never forget the care and kindness of Dr. Sheila Johnson and her staff at Animal Health Associates. Another major part of Harlee’s life was spend in grooming, which, like all dogs that have hair instead of fur, needs attention. At least monthly, she was excited to spend time with her friends there. I called it her Poodle Parlor spa day. The picture of Harlee above was taken by Marit Vike, owner of Send Rover Over, last fall. I played with the background, wanting to feel her float in the clouds, but Marit captured her inquisitive look beautifully. Perhaps people who don’t have pets, or never had the chance or courage to form the bond, don’t understand what I’m writing about. I knew walking into the relationship that I’d have to say goodbye to Harlee long before I was ready to do it. I knew my heart would break. Part of the life cycle — the part I rage against and never want to accept. I’d been through this before, with Madame Wa, our other Standard Poodle we’d raised from a pup, nursed through all kinds of maladies, traveled thousands of miles with after we retired. She was almost fifteen when we had to let her go in peace. I learned so much from these two friends, companions, kindred spirits; they looked out for me as much as I did for them. I experienced what unconditional love means and feels like. My life is empty from loss, but full with memories, and support. This poem is my thank you to my human friends who have been there for me, including my family. I love and cherish you. it’s also a reminder to myself to work hard to be in the present, where life is happening with each breath.